This issue continues the storyline begun in issues #115-116, in which the Red Skull uses the Cosmic Cube to switch appearances with Captain America, ruining Cap’s sterling good name and leaving the real Cap to face his friends and foes in the guise of his worst enemy. As Cap lands on the island, he is vocally defiant, and the Skull marvels at his resolve—especially after all he’s put him through the last couple issues! As the Skull planned, his old pals in the Exiles waste no time in attacking Cap, who gets some help from a feathered friend (foreshadowing another new friend who shows up later in this issue). While Cap fights the Exiles, the Red Skull continues to ridicule Cap’s fans and supporters, as we see in the nonsequential panels below. I appreciate how the man in the second panel below notes the Skull’s swagger and thinks it out of character for Cap, implying that his humility is already fairly known among the public, even in terms of his body language. Above and to the left, the Skull finally gets the idea you’d think he had all along, considering how common an element of his plans it is: using his situation to ruin the good name of Captain America, which will be a decidedly personal defeat, and particularly gratifying for a tyrant who values reputation and fear above all else. 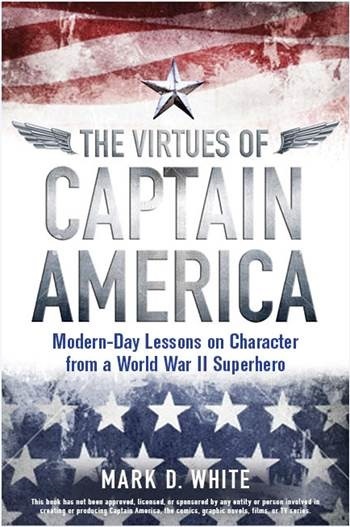 Sam gives Cap the short version of his backstory—or what he thinks is his backstory (it’s complicated)—and Cap realizes he’s met a similar fighting spirit who resists being ordered around. Cap is more than happy to join Sam (and Redwing) against the Exiles, but he has a very familiar idea how to do it. And with Cap’s suggestion—and a little help from Stan Lee and Gene Colan—the first African-American superhero, the Falcon, is born. You must not miss our next sensational, landmark post… if you want to know what happens with the rest of the tale.